The 2013 Best Ranger Competition Icebreaker will once again be held at Chattahoochee Harley Davidson, in Columbus, GA, and sponsored by ROCKY. The icebreaker begins at 6:00 p.m. and is expected to go until 10:00 p.m. 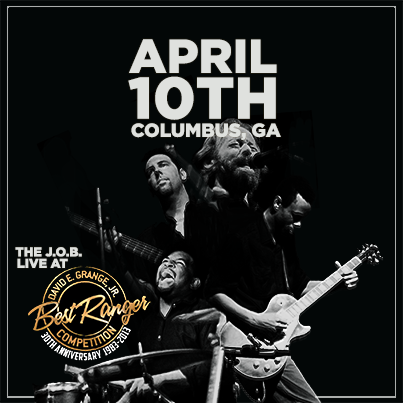 The Jim O'Ferrell Band (J.O.B) will provide live entertainment for all guests at the Chattahoochee Harley Davidson outdoor pavilion. The lead vocalist, Jim O'Ferrell, left active military service in 2008 after returning from the Iraq war. The former Airborne RANGER Infantryman then joined up with friend and fellow guitarist Jason Crawford to form the band's core. If you are interested in attending the free icebreaker event contact candyssbryant@gmail.com for your ticket. Vision Strike Wear is helping to support the 30th Annual Best Ranger Competition with its design and support of the commemorative coin. The date has been changed from the presented artwork, but this gives you a glance at what to expect this year. Save the date and make your plans to join us April 12 - 14, 2013. The National Ranger Association is now taking orders for the 30 Year History of the Best Ranger Competition commemorative book. The cost is $58 and includes shipping and handling. This book is being designed as a coffee table book (approx 9 x 12). Any proceeds of the book will go to the National Ranger Association. Order your book HERE! The BRC Challenge took place on Wednesday, April 11th. Twenty four teams of RANGER supporters participated in the event. 5.11 Tactical's Dave Rhoden and Damon Helton emerged the victors! Congratulations!! This was 5.11's first year to visit us at Best Ranger. Needless to say, I think they are walking away with the understanding that this is the BEST community and BEST people on earth! See the results at: http://www.bestrangercompetition.com/brc-challenge. 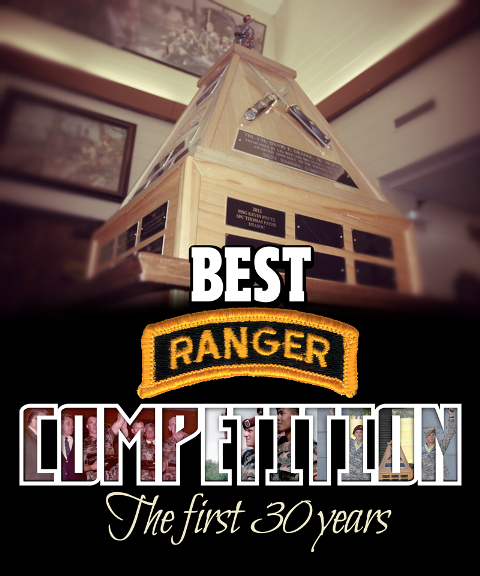 We look forward to seeing each of you next year for the 30th Annual Best Ranger Competition. The National Ranger Association is proud to announce that Landis Frier (www.landisfrier.com) will perform a concert for the 2012 Best Ranger Competition icebreaker event at the Chattahoochee Harley Davidson on Wednesday, April 11th. Free tickets are available by contacting Candyss Bryant at candyssbryant@gmail.com. Frier is a Georgia born and raised singer/songwriter but will join the Best Ranger Competition while taking time away from his projects in Nashville. He has opened for acts like, The Swinging Medallions, The Lovin’ Spoonful, and The Tams. Frier has put his soulful country sound on the road and it has taken him all across the south and as far west as Colorado. His ambition has taken him to Nashville. His first CD, a collection of original material simply titled “Landis Frier”, is rich in musical talent and passion. Songs like “Tennessee Woman” and “Dirt Roads”, offer up a sound that is both comfortable and unique. Join the National Ranger Association and Landis Frier on Wednesday, April 11th for the 2012 Best Ranger Competition icebreaker. The National Ranger Association announced that the location of the 2012 Best Ranger Competition Icebreaker will be moved to Chattahoochee Harley Davidson on Williams Road. The Association searched for a venue that would maintain the spirit of camaraderie while providing ample space to host a larger number of people. A ticket will be required to attend the icebreaker. Tickets will be distributed in March 2012. Contact Candyss Bryant (706-718-9520 or candyssbryant@gmail.com for more information. Video footage of the Inaugural Best Ranger Competition Supporter Challenge has been added on our Supporters page. Take a look and consider joining us for our 2nd Annual Supporter Challenge on Wednesday, April 13, 2011. Be prepared to get dirty and have lots of fun. Grab a Ranger buddy, become a supporter and join us for the 2nd Annual Event. Contact Candyss Bryant (candyssbryant@aol.com) for more information. Forty teams began the competition Friday. Twenty-five managed to cross the finish line Sunday. Winning the competition were Master Sgts. 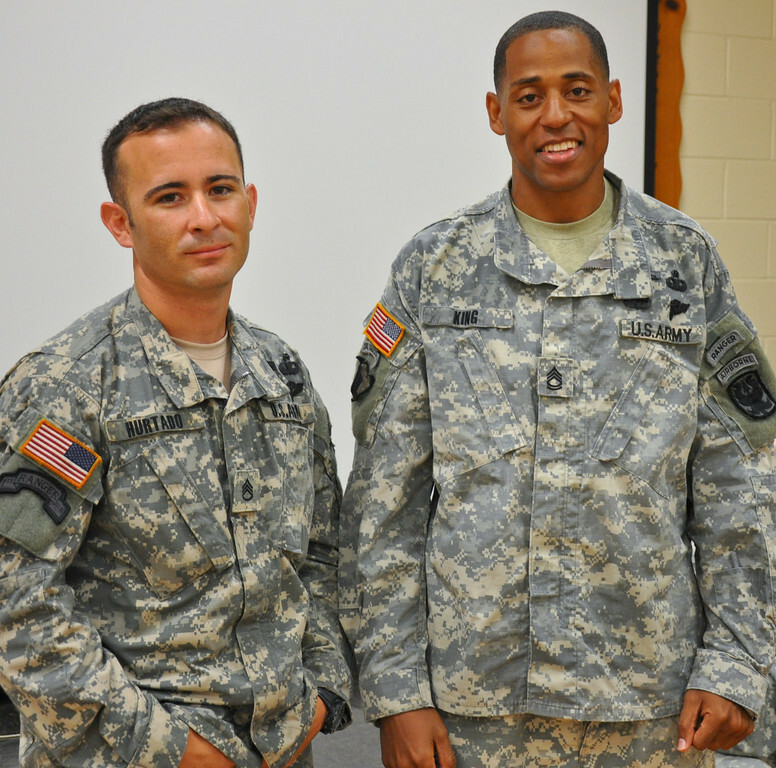 Eric Ross and Eric Turk of U.S. Special Operations Command. The 2010 Competitor Photos are located at the Fort Benning Photo site. Expanding the popularity of the Competition into the Social Media stream, our Facebook Fan page has surpassed 1000 fans in the short time that we've had it online. Our intent with the site is to keep all fans of the Competition updated on any changes throughout the year as well as to share photos and videos (and eventually updated scoring) so that those not in attendance can track the progress of their favorite teams. We invite you all to join us on the site and give us your feedback.